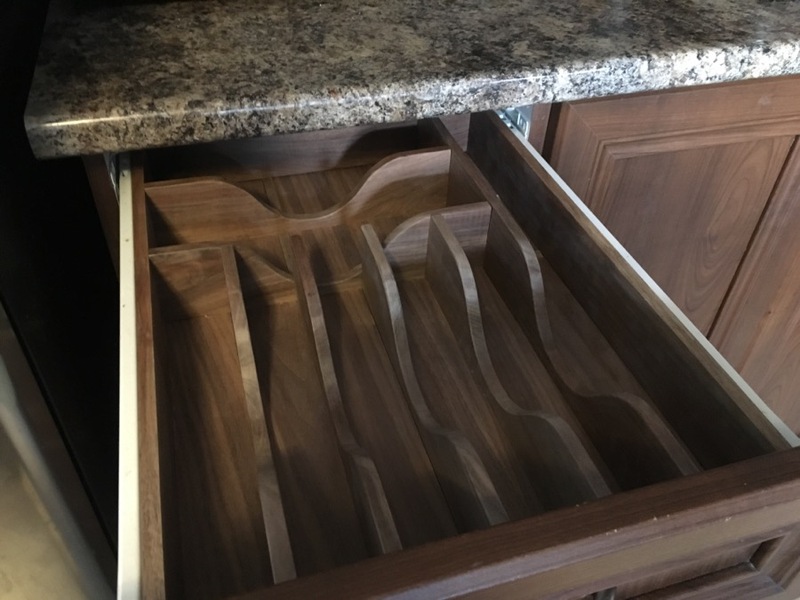 This took me longer than I thought but I made this drawer organizer out of walnut to set inside the kitchen drawer. This entry was posted by admin on Sunday, July 3rd, 2016 at 6:52 pm	and is filed under Uncategorized. You can follow any responses to this entry through the RSS 2.0 feed. You can leave a response, or trackback from your own site.